To our wonderful guests, we would like to say a sincere, grateful, humble and heartfelt thank you. 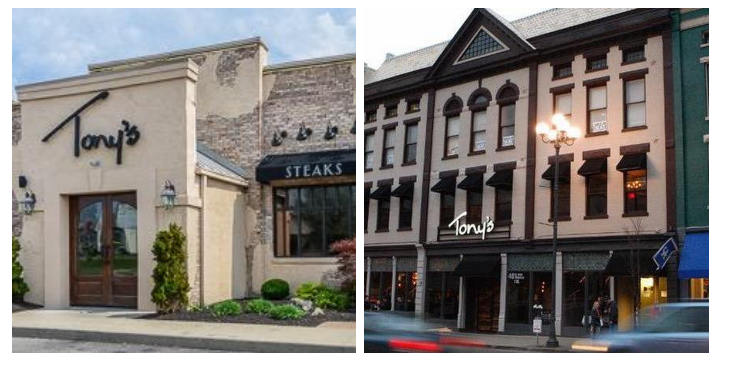 Thank you for making Tony’s your go-to place to celebrate all things, large and small. Thank you not only for your patronage, but also your friendship. You make it all worthwhile and you are the reason for us to get up every day and serve you again. This year has been wonderful and we can’t wait to show you what we have in store for 2018. Enjoy this last month of the year, full of its excitement. Remember to take time for the things that matter most–faith, family and friends. Merry Christmas and Happy Hanukkah–a blessed season to all. 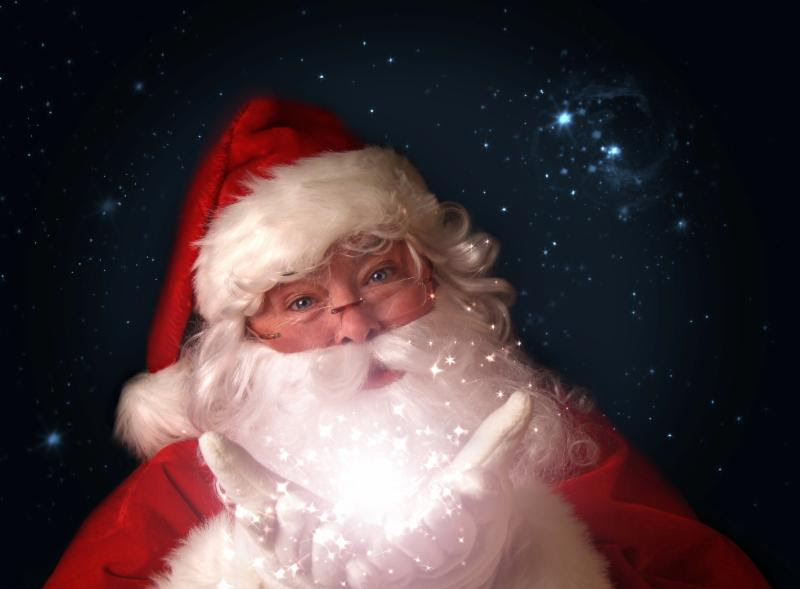 If You Could Ask Santa for One Thing, What Would it Be? We asked some of our staff this question. The answers were varied–some practical, some funny, some heart-warming. Just new tires for my car; I’m not greedy! Santa, we know all our employees are on your “Nice List,” so we hope you are listening! 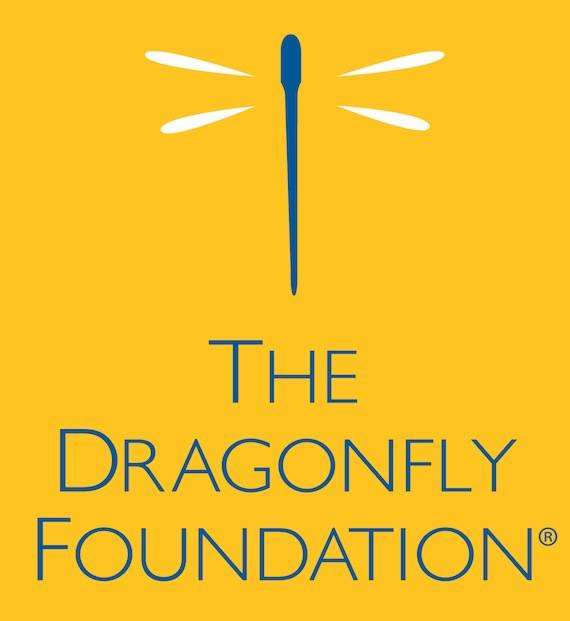 The Dragonfly Foundation, a 501c3 non-profit, is dedicated to helping young cancer patients and their families find strength and empower their flight. For more information, please visit Dragonfly.org. To make a tax-deductible donation, please text TDF to 91999. To become a fundraiser, please text WINGS to 71777. Splurging on a fantastic steak meal is good for your mental health. I know. I’m a doctor. And tonight, a very happy man. Save time shopping and spend it with your friends and family instead! Gift cards are available at either location or on our websites. 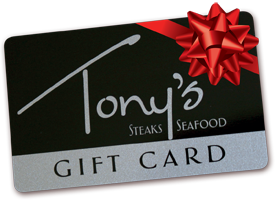 No need to play favorites; gift cards can be used at either location. By the way, don’t forget the #1 person on Santa’s Nice List–you! Tuck a few of these in your wallet to treat yourself! Make Your New Year’s Reservations Before Time Runs Out! Out with the old and in with the new! What better way to start 2018 than at Tony’s? 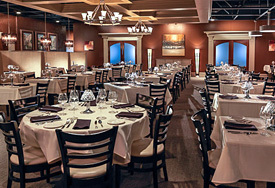 Start your new year off right by dining with us on New Year’s Eve. Seating is very limited and filling up fast. We hope you can join us as we ring in the new year. Our restaurants will be closed on New Year’s Day so we can rest, rejuvenate, and prepare for the new year. 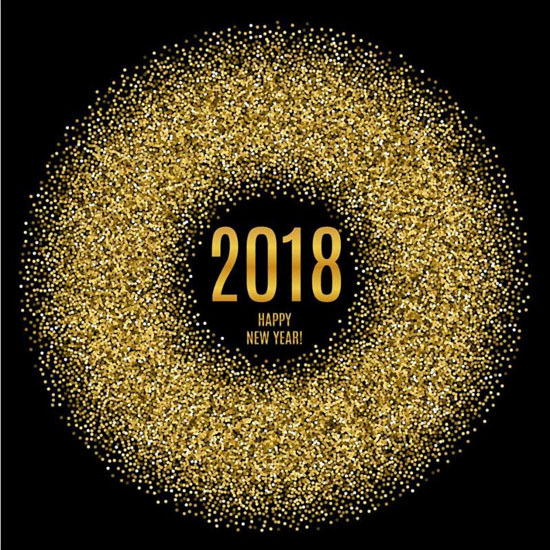 We are looking forward to sharing 2018 with you. Exceptional. This feels like a throwback to an old NYC steakhouse. 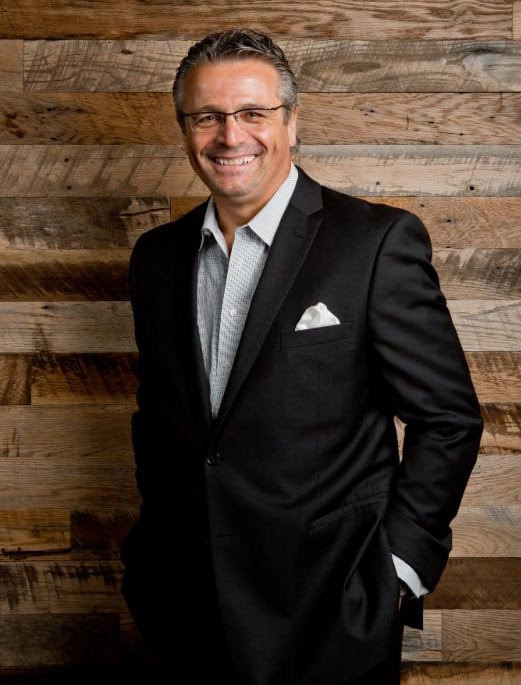 The staff is on point and works like a well-oiled machine while the proprietor himself walks the floor and chats with guests. The meal was nothing short of incredible and the entire evening was a hit with family we’d taken with us. Will be back for sure. What a great steak! Best ever. We loved the atmosphere! Can’t wait to get back to Lexington so I can enjoy again. In fact, I may go to Lexington just for the restaurant and the fabulous food.